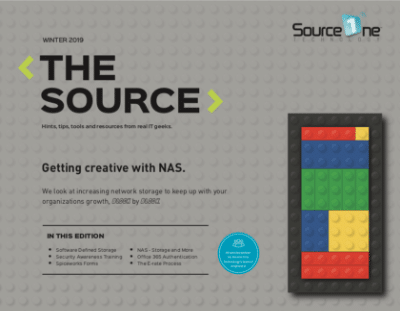 This article was written by Robert Edwards, HP Aruba Systems Engineer and posted with author’s permission. For this tech tip I’d like to define 802.11ac wireless RF terms that we throw out a lot but never really define. 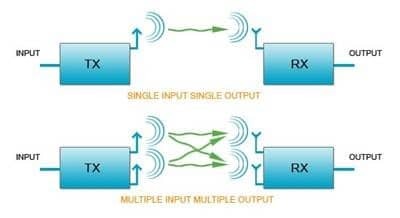 Unlike traditional/old 802.11a/b/g radios, which use single-input and single-output (SISO), 802.11n and 802.11ac radios use MIMO technology to increase throughput by increasing the number of radio transmit and receive chains (antennas or a group of antennas). A choice needs to be made between transmit diversity techniques, which increase reliability (decrease probability of error), and spatial multiplexing techniques, which increase rate but not necessarily reliability. MIMO achieves this by higher spectral efficiency (more bits per second per hertz of bandwidth) and link reliability or diversity (reduced fading). So, each stream (streams use diverse paths, bouncing off walls, floors, stuff, or just the air) has the potential to increase data throughput OR increase reliability. Single User MIMO.  This means one client can communicate at a time with the potential of using the multiple streams for faster speed or a more reliable connection. Allows 1 AP to transmit unique data to multiple stations simultaneously. Allows up to four simultaneous downlink MU-MIMO clients. Lets take one of these apart to understand what each number represents. For instance 2x2:2, the first 2 represents TX (Sending Antenna), the second 2 represents Rx (Receiving Antenna), and the last 2 represents spatial streams in this means that it’s capable of handling two spatial streams. 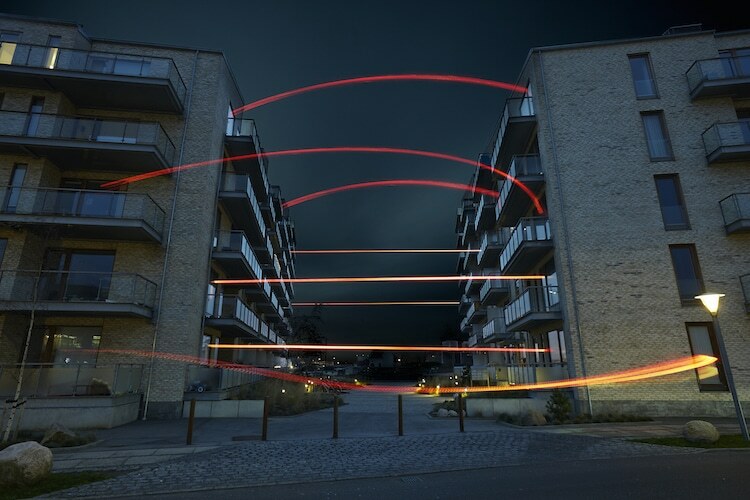 802.11ac wireless wave 2 will bring even more sending/receiving antennas and spatial streams. This is a transmission technique in MIMO wireless communication to transmit independent and separately encoded data. Multiple data streams are transmitted at the same time. They are transmitted on the same channel, but by different antenna. Additional antennas allow for the transmission and reception of multiple simultaneous data streams. Each spatial stream can pack a certain amount of data with 802.11ac wireless. More transmitters and receivers allow the AP to send independent streams of data. Much like adding additional lanes to a road, multiple spatial streams allow the wireless AP to transmit more data simultaneously. Modulation – This is the addition of data information to an electronic signal. Different types of modulation have varying abilities to cram data into an RF signal. Information can be added to the carrier by varying its amplitude, frequency, phase. QAM (Quadrature Amplitude Modulation) uses both phase and amplitude modulation. More complex schemes give faster bit rates for the data, but requires better SNR (signal measured at the user device) to the full potential. In 802.11n the highest order modulation is 64-QAM. 802.11ac increased the constellation configuration to 256-QAM. 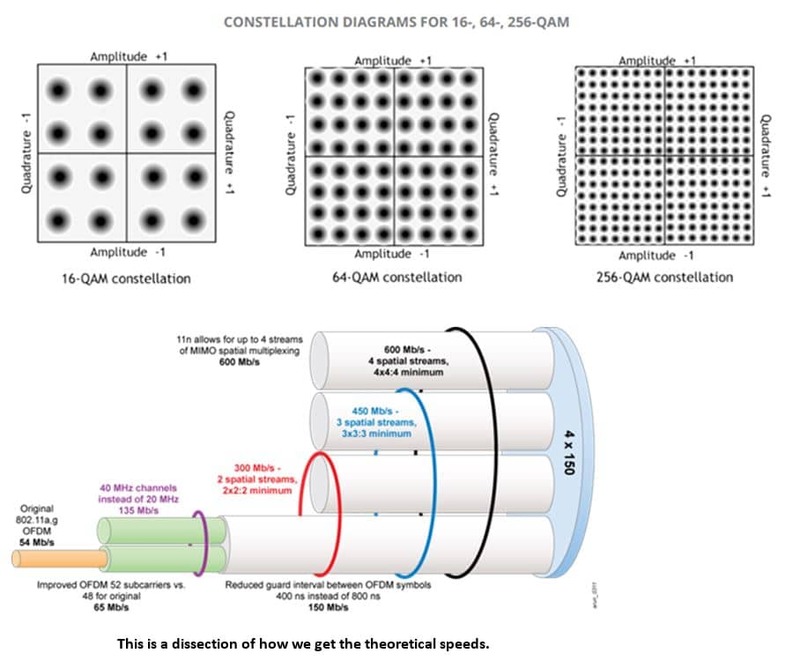 Going from 64-QAM to 256-QAM allows for a 33% speed burst at shorter, yet still usable, 256-QAM doesn’t require more spectrum or more antennas than 64-QAM. 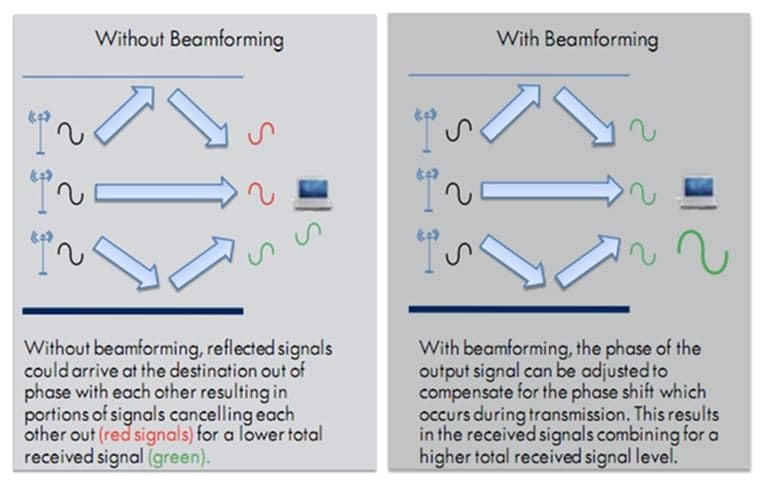 Known as Transmit Beamforming, this is a technique with 802.11ac wireless implemented to improve range and data rate for a given client takes advantage of the multiple transmit antennas available in a multiple-input multiple-output (MIMO) system. Efficient steering of individual streams in such a system provides overall gain. This refers to two different bands, in the case of most of our hardware we are referring to the 2.4Ghz and the 5Ghz bands. 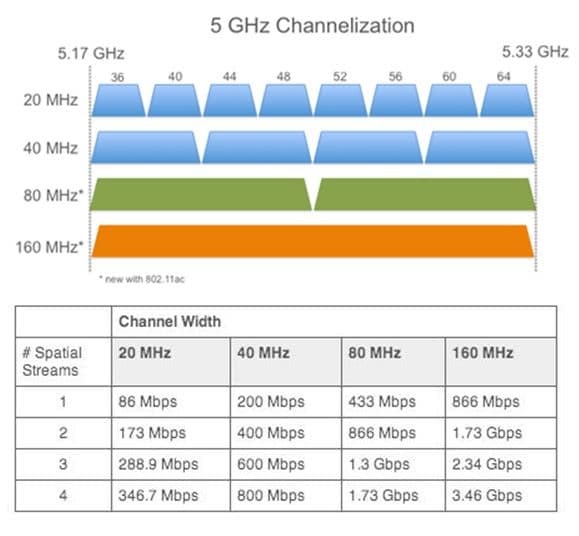 The 2.4Ghz band has only three non-overlapping options or just two if you’re using 40 MHz channel bonding. While the 5Ghz band has eight non-overlapping channels and generally less competing traffic since relatively few client devices support these frequencies. Previously, 802.11 transmissions were transmitted using 20 MHz data channels. Anyone who has deployed an 802.11a/b/g AP has worked with 20 MHz channels, with each AP set to a single, non-overlapping channel. With 802.11n, two channels can be bonded, which actually more than doubles the bandwidth because the guard channels in between also are used. With 802.11ac wave 2 you can bond 8 20MHz channels for a 160MHz wide channel (contiguous or two non-contiguous 80 MHz slices). In the US, there are 5 contiguous 80 MHz channels. Those 80 MHz channels can be combined to create 160 MHz channels. This is a great chart, it shows the theoretical throughput vs the real world throughput. This HP Aruba chart is helpful to understand the theoretical speeds of various devices.